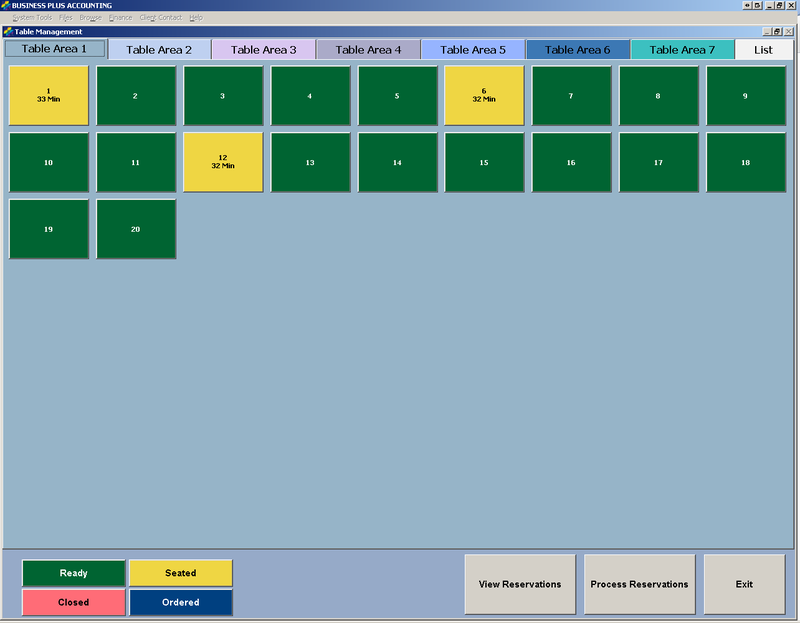 Need Restaurant Reservation Software? 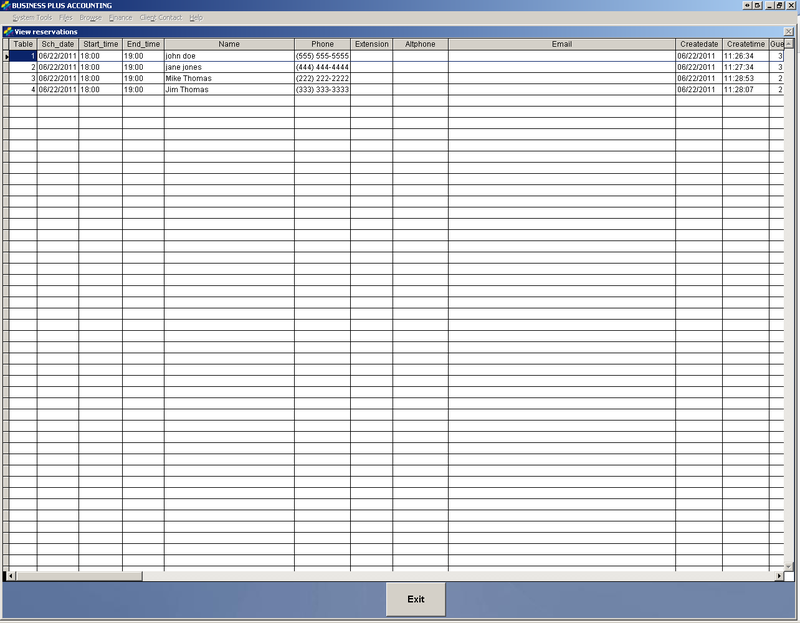 Our Business Plus Accounting Restaurant Professional software package includes a table management system to help you better manage your restaurant reservations. With our software, there is no need to switch back and forth between your point of sale system and your restaurant reservation system...both are fully integrated into the BPA Restaurant Professional package. 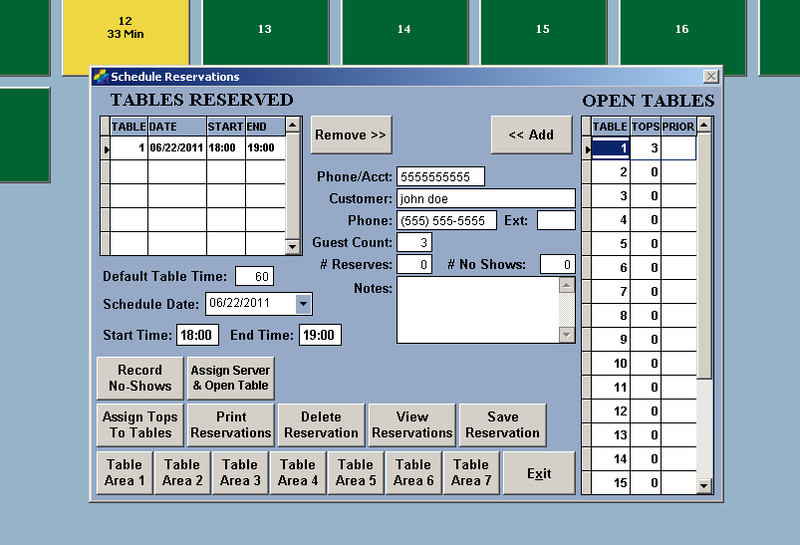 This is the Table Management screen. You will initially see a layout of all of the tables in your restaurant, including open tables and tables that are in use. When creating reservations in the system, you will be able to enter the customer's information, and reserve specific tables and seats for that customer. Throughout the day, you will be able to see all reservations scheduled for the day. If you would like to try out our Business Plus Accounting Restaurant POS software, click the Download Now link below to try a free demo.